Waze has some driving traffic predictions to help you make the most of your trip home so you can spend less time in the car and more time with the family. With mum’s home-cooked feast waiting for you, there’s nothing worse than being stuck in a traffic jam on your way to the reunion dinner. It can be difficult to decide when to start your journey, but don’t fret, Waze has some driving traffic predictions to help you make the most of your trip home so you can spend less time in the car and more time with the family. Don’t want to be late for the reunion dinner? Travelling back to your hometown to see relatives? Want to meet up with your friends for karaoke? Do it on time with this tip! Click on the images below to know which times you should avoid when you are out and about before and during Chinese New Year. Those that aren’t leaving the Klang Valley for the holidays can also take advantage of Waze’s prediction on the best and worst times to drive in Kuala Lumpur. How are Malaysians Celebrating Chinese New Year? Waze has also identified popular ways Malaysians celebrate the Chinese New Year. Planning for a catch-up with friends and family? Perhaps a high tea at a hotel or a big restaurant feast in the mall isn’t the most ideal if you get stuck in a jam. 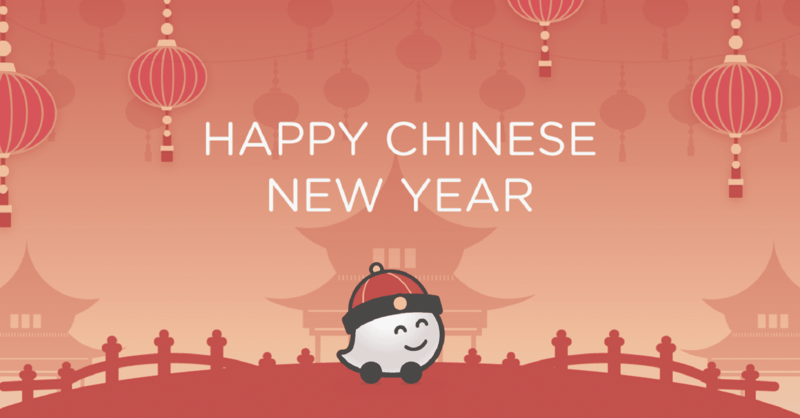 Have a smooth Chinese New Year with the Waze app, download and test it out for yourself! For more information, please visit www.waze.com.